The Cherry Ave. branch of Fast Money Loan provides the residents of Long Beach CA with car title loans. The office is located at 3451 Cherry Avenue. If you are a resident of Long Beach and need quick cash, please stop by our Long Beach branch location of Fast Money Loan to talk with us. 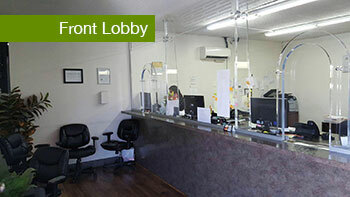 We take great pride in serving our customers and look forward to talking with you. Long Beach, CA is one of the most popular and beautiful areas in California, with miles of beach, sunshine, and lots of space to drive around. In this bustling area, you don’t want to be without your transportation, especially if you run into trouble making ends meet. Long Beach CA is growing and attracts more and more newcomers. Not just from the US, but from the whole world. If you are looking for a new place to call home, then Long Beach CA might be that place. It has great infrastructure, pleasant climate, and attractive cultural life. That is why Fast Money Loan has its main location in Long Beach where you can come in and talk to one of our friendly staff to help take care of your money needs. With so much beauty around, we want to help you get the auto loan you need so you can make the most of your life in California. Fast Money Loan is here to help get you back on track! Having money troubles? Your vehicle can be the key to solving your problems! With a fast and easy car title loan from Fast Money Loan, we can help you get the money you need today to cover your bills or help in a financial emergency. 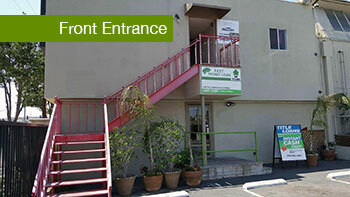 Visit our Fast Money Loan Loan Processing Headquarters on Cherry Ave, in Long Beach, CA. There are sometimes when the costs of life seem overwhelming and you need a quick source of money to help handle things. When that happens, Fast Money Loan can help you turn your car, truck, van, or boat into the money you need while you still keep the vehicle. Your credit score doesn’t matter – we don’t even check with the credit bureaus. As long as you can repay your loan, we usually can do a car title loan for up to 100% of the Manheim value of your vehicle. The loan is approved based on the specific details of the car that you own and your ability to repay the loan. Therefore, your ability to pay the loan, the value of your car, and the condition of your car are the most important things we will consider. You can apply for the loan online in a few easy steps, or come by our Long Beach location. Bring your auto car title into our office and on approval you can still ride away with your vehicle along with the cash you need to pay your bills. Go ahead and give us a call or Apply Online, You will be very glad that you took this step. We will work with you to make it as hassle-free as possible. A great way to get quick cash that you may need to get through the month, pay rent, catch up on past due bills or take care of other important expenses is to get a quick loan. The low-interest car title loan that Fast Money Loan offers has one significant advantage – you get to keep and drive your car and use the cash you got for its title, all at the same time. It is such a convenience for someone who depends on their car for the everyday errands or work. The most popular way to apply for an auto title loan is online. Here, at Fast Money Loan, we also offer an alternative to our customers – they can stop at our location in Long Beach and get the necessary fund as fast and hassle-free as online. On occasion, money troubles can happen to anyone. While we always would like to be prepared for the worst hardships, life can always throw us curveballs. Hardships can suddenly appear in any shape or form and sometimes it is just not possible to get by without some external help. We, therefore, think that the only way to help people is to provide the best car title loans and alleviate their need. At Fast Money Loan, based on your ability to repay, we are able to use the value of your vehicle to help you get the money fast you need. We hold your lien-free, clear title for the duration of the loan as security. This helps you get quick cash in hand and hence, making it easier to get a loan regardless of your credit score. Once the loan is paid off, you get your title back. It’s really very simple.